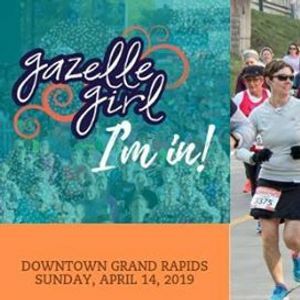 2019 marks the seventh anniversary of the Gazelle Girl Half Marathon! We are super proud of the way the event has grown, the women who have joined us on event day, the partnerships we’ve created, and the funds we’ve raised for our amazing charity partners- The Gazelle Sports Foundation, Girls on the Run of Kent and Muskegon Counties, Grand Rapids Opportunity for Women and the YWCA. Grab your girlfriends, mothers, sisters, cousins, grandmas, aunts, or co-workers and sign up for this race. Whether you are looking to complete your first 5k, 10k, or half marathon, or want to set a personal record, this event is for you.